We have been using this about a month now and i honestly feel so guilty for not getting it sooner! It is so comfy, he’s actually happy to go in the car. It is so easily to rotate to get him in and out, it reclines with just one easy pull, the straps are so so easy to loosen/tighten! I can do it with one hand and his head doesn’t flop forward when he’s sleeping because of the fab headrest. Made it easy for me to get my little lady into the car without any struggles. I absolutely loved the seat! It just made thing much easier as a single mum, when I'm out and about it's usually just the two if us so this struggle free seat helped massively. I found especially when she was sleeping it was easy to transfer her from and to the chair without waking.....winning!! Excellent car seat, my son was happy and secure. I loved the swivel feature it saved me from having to lean over to much or squeeze between the front seat and this one. Absolutely brilliant for back and getting a wriggly and resistant child into the seat easily. Love this product! It’s a saver on your back and also easier to get a resistant child into the seat. My child has learnt to get get into it herself as it’s much easier facing outwards rather than a normal turned in seat. This has been a great car seat for us. We have two as we have twins and even though that sounds expensive (it is! ), this car seat option worked out financially a lot cheaper than buying a separate size 0+ and size 1 seat. We also factored in that I am not strong enough to carry two car seats at once so the ability to take a size 0+ seat out had limited appeal. Additionally, we found that every few months these seats would have £100 off so we're confident we could get the at that price close to the birth (meaning our warranty would last for as long as possible)! The newborn insert meant we could bring even our tiny 4oz girl home safely and it has grown well with them so far. We've had many comments about the spin and that is by far its best feature. Spins very easily, not heavy seat, i size. We love this car seat, it is wider than other seats so even with winter coat my baby is still comfortable. Handles to spin the seat are placed very well and easy to reach. I like that it is i size, so its based on baby's size rather than weight. Highly recommend this seat. Easy to fit, easy to use and easy to wash if needed. 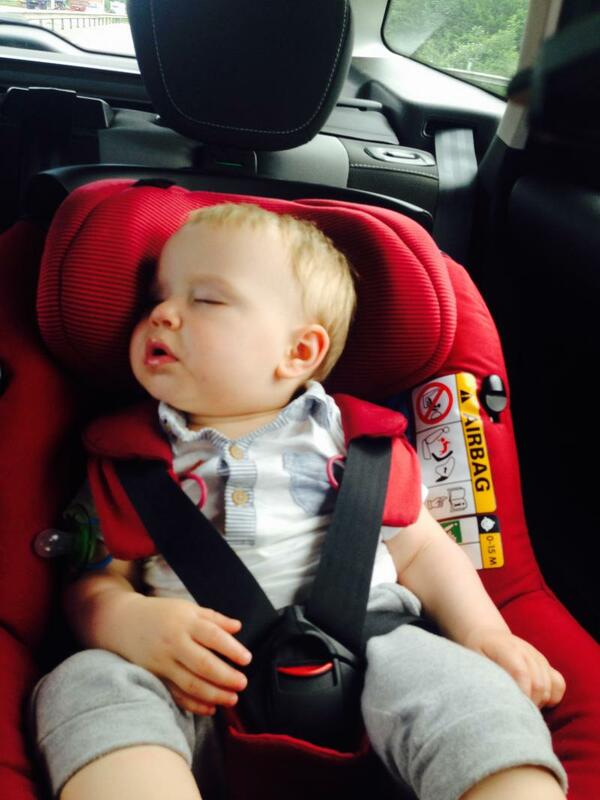 This car seat is so perfect, easy to fit with its isofix. The twisting of the seat makes it convenient to use anywhere and in any car! Come in a choice of colours so you can get one that suits you. The only slight downfall for me was the reclining of the seat, I find in some cars (especially if the seats aren't flat) the recline of the car seat isn't quite enough to lay the child back enough. I used the car seat with my first born and will just started using it with my 2nd. 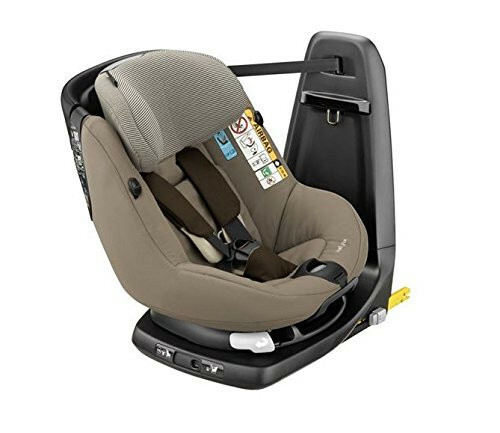 Good sturdy car seat that easy and convenient to use! We have had this since we moved our Daugherty out of her pebble. It’s fab, it was a smooth transition and will last her. It spins round and is easy access to baby. All the materials come off and are velcro so easy to wash. Easy to install too! Adjustable head position and straps! The turn seat is a life saver with a fussy toddler to get quickly in and out of the car. I love this product and with 2 under 2 it has been a life saver for easy and quickness to use. My toddler sits comfortable and happily in it for a long time which is good as our family live quite a distance away. My only downside is it's not easy to clean but for it's pros I can live with it. The swivel function really is a back saver for parents. We love this carseat. Easy to fit and very simple to use. 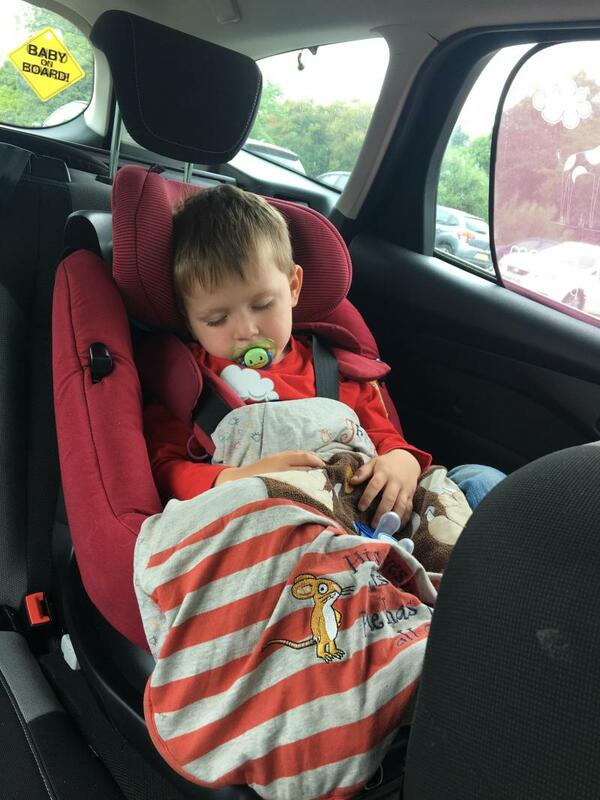 The swivel fuction makes it so easier to get your child in and out of the car and is especially useful when they have fallen asleep and you want to get to them without disturbing them. The downside is that it is quite big and cumbersome so not the easiest for quickly swapping cars if you are a multi-car household. It is quite pricey but I think it had been worth the money. We love this car seat. It’s so easy with the swivel to get LO in and out once you get to grips with which lever to pull (there are a lot of them and this can be confusing). The insert is great although looked a little uncomfortable for our LO once she reached 13lb we removed as she couldn’t lift her arms. I love this car seat as soon as I saw it I knew I wanted it. We bought it in black as we thought it would look smart in our car. It does not disappoint. I would definitely buy this seat again and is the 1 thing I wouldn’t go without. We have had it since my daughter was 6 months and she’s now 2 it’s so much easier get her in and out using the swivel action. Comes in loads of colours, and is very stylish. Only slight negative is it takes up more room than a regular car seat. This has been a god send in our house, we purchased it as I broke my back a few years ago and was unable to carry my son in his simplicity car seat. He loves this car seat and actually drops off to sleep very easily in it. Brilliant car seat! Easy rotation to get toddler in and out of car. Less strain on back getting them in. Great choice of rear or forward facing and tilt s at option. Fits securely in car. It is easy to use and comes in an attractive range of colours , ours is a lovely turquoise colour. Our little boy prefers it to other seats as it is a little higher and this means he can see out the window easier. 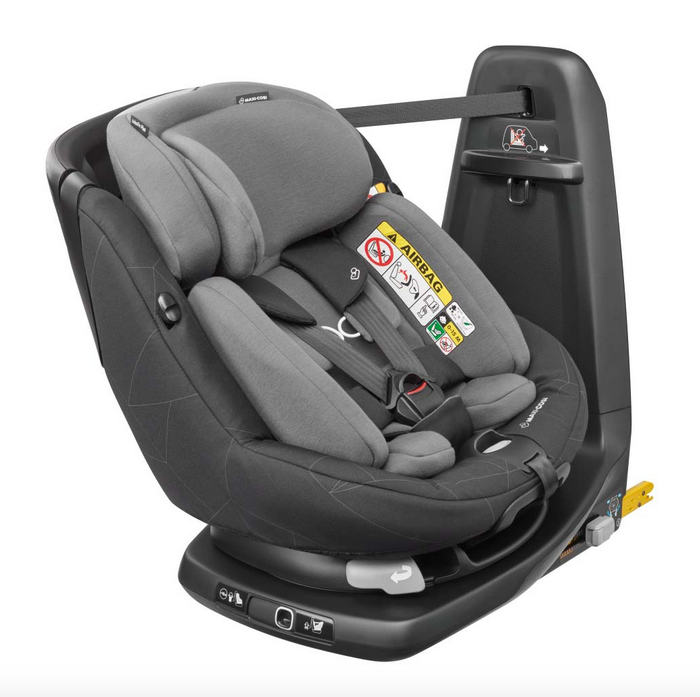 The twist function saves strain to the parents back and easy access also means its easier to secure the child into the seat , as apose to side access. Love it so much we have 2 ! Not easily transferrable once fitted. After trying a few swivel car seats this definitely is my favourite. It is a bit of a faff to fit initially with the tether point but once fitted feels far more.secure than other similar products. My son had to have legs in casts as a baby and then special boots as a toddler so this has been ideal.for us. Being able to place him in comfortably without straining my back. He has plenty of room still rear facing at 26 months. Easily removed washable covers ideal for a sicky traveller! It is expensive but completely worth the money for a safe comfortable drive. Bought this while I was pregnant with my second child to make it easier getting my 2 year old in and out the car. Its been great I feel she's very secure and she's perfectly happy and comfortable in it even with longer journeys. I'm able to get her strapped in with ease. I bought this car seat for my baby I used it from about 5 month old. I love it and so does my baby. He is so comfy in it and it seems really safe in the car. I love that is spins so can put the baby in facing the door and faces rear and forward. Worth every penny. 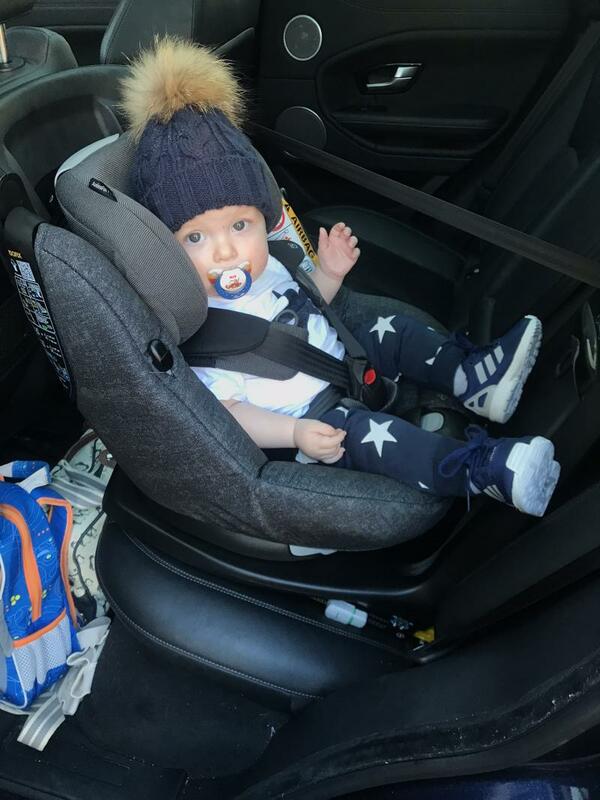 This car seat is great, the only down side is that its expensive., Its very secure the fact its got an isofix and ancher strap,and easy to use. Love the car seat. Easy to install with isofix! The swivel function saves straining to put baby in to seat and lift her out - especially in tight spaces. It seems comfortable enough and baby is supported. It is recommended for babies from 4 months / 62cm long so meant I had to use baby carry car seat for first few months (which I had planned on doing anyway). Priced competitively in the market although do research before purchasing as it’s usually on offer somewhere as a newer model is available from birth. I love maxi cosi as a brand ! This car seat means my son can jump into his car seat with ease. No more tantrums trying to get him in a forward facing one. He can’t wait to get in this car seat ! So easy to use and I feel at ease that he super safe in his chair. Plenty of space in the chair and has so many adjustments. He is 3 years old and still plenty of room left. Definitely worth the money as it lasts so long. Only problem I have found is that the material stains rather easy and the replacement covers are rather expensive. Will be using for the next baby. As the turning action is great when you can’t get into a Childrens space and someone parks too close there’s still plenty of room tp buckle your child. Swivel action makes it easy for access to child especially in tight car park spaces . This product is great from the age of 9 months. I wouldn’t recommend this product under this age due to the lack of recline! babies head tends to flop forward . My daughter was chunky and I had to buy a new one at 2 years old as the seat was not deep enough to accommodate her! This seat is great little ones look so comfortable in it and very sturdy and looks safe when fitted in the car. Used with both my kids and not much wear and tare atall so over all would recommend to a friend. Child safety takes a new turn with the new Maxi-Cosi AxissFix Plus. 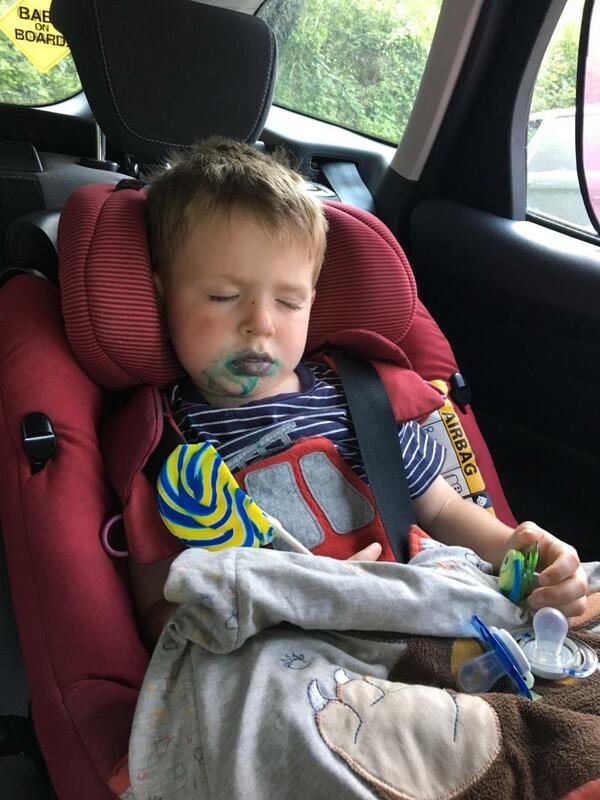 This car seat combines very high safety performance, by complying with the latest i-Size car seat legislation and its 360° swivelling action making securing your toddler increadibly easy. Thanks to AxissFix Plus parents don’t need to strain to seat their child in the car seat. It allows front-on access by simply rotating the seat towards the parent. Within seconds you can strap in your child and turn the seat towards the correct travel position. Suitable from 45 to 105 cm (birth to approx. 4 years), AxissFix Plus features a comfortable inlay for baby's safety and comfort up to approx. 4 months (60 cm) and offers rear-facing travel up to approx. 2 years (87 cm) to enhance head and neck protection. This car seat can be easily rotated from a rearward to forward facing position, giving parents the flexibility to make choose at which stage their toddler is moved forward facing. For parents' convenience the AxissFix Plus allows for easy and secure installation with the Top Tether and IsoFix connectors that lock the car seat to the body of the car. Colour indicators confirm that the seat is correctly installed for complete peace of mind. This i-Size car seat features 4 recline positions in both directions and a cozy padded seat that can be rotated in every sitting position. Featuring harness hooks and one-pull harness system, you can secure your little one in seconds. The harness and headrest can be adjusted together to suit the height of your child. Suitable from 45 - 105 cm (birth to approx. 4 years).